The DePaul Art Museum seems to have risen as quickly as it was realized. Part of a campus-wide flourishing of the arts, including new and forthcoming buildings for the schools of theater and music, the new museum building will open September 17. The galleries were formerly hidden in the university’s library. Now, the museum has a fully accessible public entrance on Fullerton Avenue, directly next to the CTA’s Red Line station. From that station’s platform, people waiting for trains will be addressed by a large video monitor from the museum’s second-floor gallery window, with special projects commissioned by the curators. The first is an interactive video conceived by the design team Plural, who is also responsible for the museum’s new design identity. The museum currently houses about 2,500 permanent-collection objects, and is especially strong in works on paper, including prints, drawings and photographs, so a study center on the third floor has been designed for classes and scholars to intimately engage the artworks stored on-site, in a similar way to study rooms at other area university museums, such as the Block at Northwestern and the Smart at U of C. The DePaul museum’s holdings are also strong in artworks by Chicago-based and regional artists. The inaugural exhibition will build upon the museum’s dedication to local art forms with “Re: Chicago.” The group show presents work by both well-known and under-known Chicago artists, such as Ellen Lanyon, Ivan Albright and Suellen Rocca, in an effort to expand the definition and canon of the Chicago style. 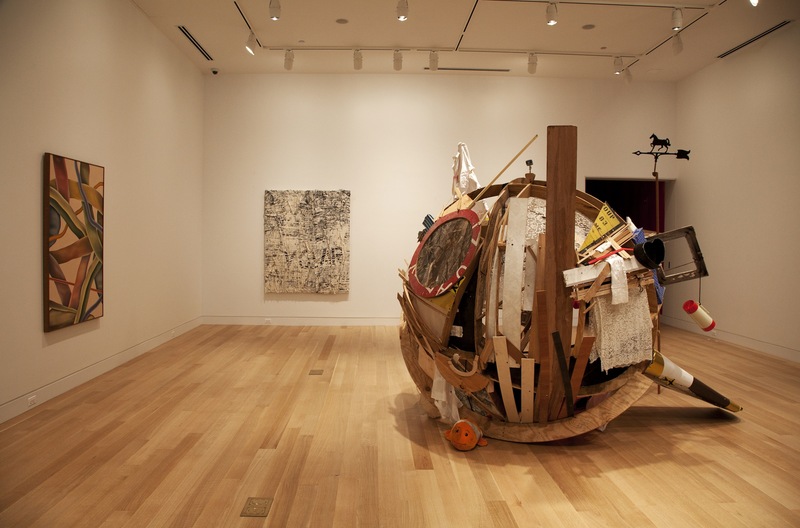 The earliest piece in the show is a George Healy oil painting from 1865, and a new site-specific installation by Robert Davis and Michael Langlois fills a first-floor gallery. “Re: Chicago” was curated by more than forty nominators (including myself), who each recommended one artist to be placed in the show. The museum’s curators complement these selections with work from the permanent collection, such as small gems of paintings by Gertrude Abercrombie and Christina Ramberg, as well as new acquisitions of works by Dawoud Bey, Tony Fitzpatrick and Angel Otero. DePaul University does not offer a master’s degree in fine arts, so the university museum will not likely need to host faculty or student shows and, although DePaul is a Roman Catholic university, its current mission is to promote diverse educational opportunities. Accordingly, the museum’s programming will cater toward the students as well as the city of Chicago, and the curatorial strategy of “Re: Chicago” clearly seeks to engage an entire community. Head straight south on Halsted Street from DePaul and you’ll reach Greektown in the West Loop and UIC area, now home to the National Hellenic Museum. The Greek culture and society institution was founded in 1983, and their massive 40,000 square-foot building is about to open in November. The first-floor, all-glass edifice is open to the busy street, and a rooftop garden allows a clear view of the city. The architectural details subtly express Greek symbolism, but the overall feel of the building is very contemporary. Clearly the institution is repositioning itself to be a major cultural hub for Chicago. “We are all Greeks,” wrote the poet Shelley, and this quote will greet visitors in the permanent collection exhibition, which educates about universal applications of historical Greek innovations, from politics to poetry. Artifact loans from the Art Institute of Chicago and other museums will help tell the tale of ancient Greek society, mythology, art, history and culture. Oral histories from Greek immigrants will be available for everyday visitors as well as researchers who may access the on-site library and archives. The exhibitions will have many interactive components, including an “augmented reality” station, where viewers can learn about the various historical layers of Halsted Street by moving transparencies over a large window that looks out onto the city. There will also be a special exhibition about Greek ownership of candy manufacturers in Chicago, and the museum will continue to serve as a venue for contemporary art exhibitions, as it did in its former location. The DePaul Art Museum is located at 935 West Fullerton, and opens September 17. 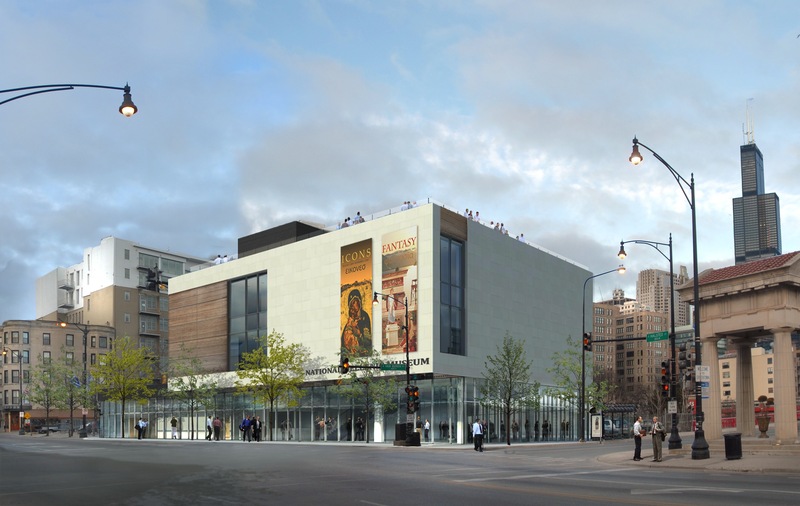 The National Hellenic Museum is located at 333 South Halsted, and opens November 5.